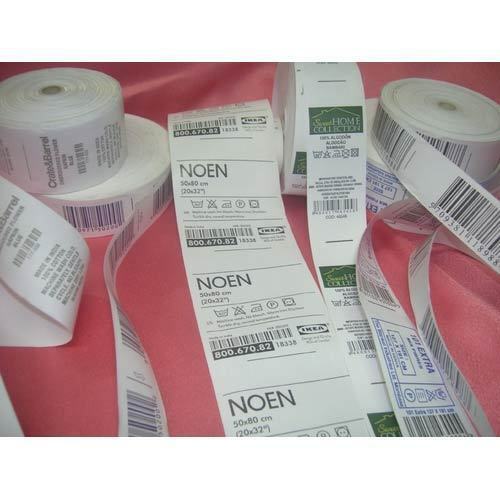 Equipped with imported label printing machines, we are able to fabricate a wide variety of printed labels like barcode label, clothing label, organic cotton label, oekotex certified label, stickers and tags that showcase finer look. Our varied labels are tested for their quality in our in house laboratory to render optimal product satisfaction to our clients. In addition to these we also provide customized solutions based on sizes, shapes and colors in order to meet the specific requirements of our esteemed clients.